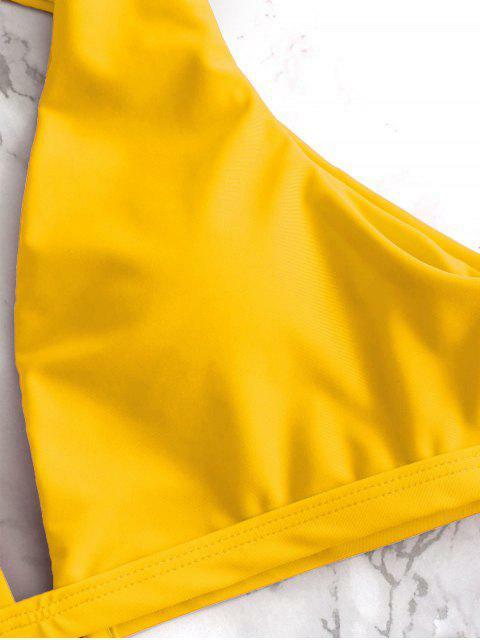 [18% OFF] 2019 Cut Out V-Shape Cheeky Bikini Set In BRIGHT YELLOW | ZAFUL .. In a tank style, the top has a low v-collar complements your figure, with padded cups and wide straps that keep the form and shape of the suit easily. The back has a large cutout get a lot of extra sun. A single closure secures the back for activities like volleyball on the beach. The bottom has high cut design while with moderate coverage at back to keep you secure.